Do you work for Vimeo? Large storage space, clean interface, ease of use, and no ads. The password protection is very helpful. The cost of the pro account feels fairly high, especially as a non-profit. I would like a feature that allows comments at specific points in the video, similar to what Soundcloud has for audio. We use it to upload private video content that we are in various stages of refining. Not ready for public consumption yet, and allows our staff to review and give feedback. "Excellent hosting solution for marketing/promotional videos and technical/support screencasts"
"Vimeo is Perfect for Filmmakers"
Vimeo is a very aesthetically pleasing video hosting website with high video quality streaming. The interface is easy to use in all aspects. Vimeo links are easy to share as well as to embed into other platforms. Another great tool it that it has wonderful privacy settings, and it makes it very easy to set up passwords to protect your work. Vimeo is extremely reliable and affordable for small film companies. The only dislike to Vimeo is the storage limit because some big projects take up a lot of space. One other issue is it's sometimes difficult for people to find your videos in the search bar. Other than these two things Vimeo is far ahead of its competitors. Vimeo has an incredible reputation for high quality content compared to other video hosting websites, therefore, my company only uses Vimeo to send out any links. "Still the Best option for Video File Management and Distribution"
Vimeo is by far the best value for money when it comes to storage and delivery of video files. From SD to 4K Vimeo has me covered and when you look at the annual pricing tiers plus the zero (0) streaming fees it makes a wonderful 'back end' for online education, video on demand, and subscriber based platform networks. Vimeo's interface can get a bit of getting used to. It's great for folks who plan to upload and stream a documentary or create a small portfolio of films for their resume or business, but when you get into the hundreds or thousands of clips online you need to make sure (as I have done) that you create an archiving system for your films. Unfortunately this means that searching for clips involves the clip title as Vimeo does not allow hidden file names so you have to get used to seeing numerical elements in your titles if you plan to go that route. Otherwise it's a great product with great streaming quality. Also -- due to Vimeo being used extensively by documentary film producers where the subject matter can be controversial or negatively seen from political regimes, it is often blocked in 3rd world countries such as Indonesia so bear this in mind if you plan to service those markets -- you would be better off using Youtube which although has it's own sets of pro's and con's is available for viewing in more markets than Vimeo. Bear in mind its limitations on streaming in some international markets, and its suitability for archival solutions compared to Youtube. Perhaps as we have done, maintain content on both Youtube and Vimeo in order to gain the benefits of both worlds. We deliver streaming video to artists around the world. The front end is an online platform, which was developed by a UK based company, the payment gateway is Paypal, and the 'back end' or video archive is Vimeo. It is a robust solution. "Perfect and secure video platform"
I have been using this platform since my university studies. All my university work and the professionals, when I had to edit them on video, I have always uploaded them on this platform because the quality is unbeatable. I have always noticed that it is much better than other video platforms like Youtube. In vimeo the quality of image, the one of ascent of videos and especially because the contents tend to be more professional. As for the upload of videos to the platform, I've never had problems. They have always been uploaded correctly and over the years faster. At the beginning of the platform, if I remember correctly, I think you did not have to subscribe to a plan and have to pay to enjoy all the content. Now I do not like it that much because it asks you to pay for a plan if you want to enjoy many of its advantages. From my point of view they have lost a lot on this issue since not everyone can afford to pay a plan. Before starting to use this platform, it is important to know that to enjoy all the advantages you have to pay for a plan. Without paying you can enjoy the basic advantages, but it is obvious that paying even the smallest plan, you start to enjoy. In my company it served us for the explanation of programs. "Vimeo is Great for Filmmakers"
Vimeo is a fantastic place for Filmmakers to connect, get inspired, and share content. I appreciate Vimeo's visual appearance. It's clean, it's sleek, it look professional. I love Vimeo's user interface, and functionality. It accentuates your content, and has a lot of great features that other video sharing platforms do not. Slow buffer speeds. While Vimeo's hosting and compression displays videos better, it does come at a cost when slow wifi or data speeds are present. It can be an annoyance trying to share content in a meeting, and it takes 60 seconds to buffer all the way. This is a minor annoyance and inconvenience, more of a gripe, but it still is a real thing. While this is a paid product, I promise it is worth it. The ability to have password protected videos, downloadability and high quality private links is extremely valuable. Your videos look better when played, and your profile will look cleaner and more professional than the other services. I completely recommend vimeo, like a fine wine, it's only getting better with age. 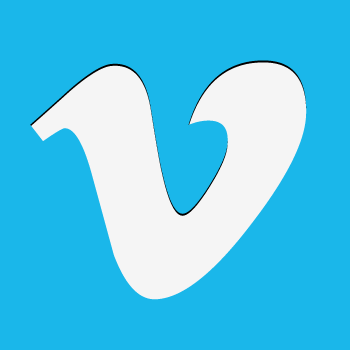 Vimeo is a great platform to send and update videos, both to clients, and the public. I love the private link function, the ability to comment and critique videos in program. I find that Vimeo seems "more professional" than yo*t*be and other services. The plus and pro functions speak to a care for your work. It adds a legitimacy to your work, and portfolio. "Great site for hosting and monitizing your videos"
I like how clean Vimeo is. It seems to have a reputation for higher quality works, unlike YouTube where you have to sort through the good and the bad. Because of this we signed up for their Pro plan so we could sell episodes of our web series. It was simple and straightforward to use, had a beautiful interface and made it very easy to share our videos through social media. We had our own page specifically for the web series where customers could purchase and download each episode individually or the entire series all at once. There were plenty of options for sharing online and we were able to make good use of social media to get our work out where people could see it. It also had places where people could review and comment, and even recommend to others, all on a clean, customizable page for our series (which we were able to customize to match the look and feel of the series itself, including color scheme and images). For some reason people weren't always able to figure out how to purchase our episodes or full series, so perhaps that could be made clearer. Great platform for selling your original content. We were able to sell our fantasy web series in episodes and as a season through Vimeo, giving more credibility to our small film company and reach more viewers. Because of Vimeo's reputation it lent a certain professionalism to our production. "Vimeo is great for hosting videos online, but it doesn't work very well for delivery to clients." I like that vimeo is decently inexpensive. I also like that privacy settings are highly customizable. It is also very useful that we can make the videos downloadable, as well as password protected. When uploaded to vimeo, the color profile on our videos is changed, and the the image looks much more flat, unsaturated, and with less contrast. It is also unhelpful that we cannot arrange our public-facing vimeo page to show the videos from newest to oldest. I would recommend that– if you use vimeo to deliver to clients– make sure to inform your clients to download the videos to view in order to preserve color. Otherwise, if they view it on vimeo, the color will not look accurate or even good. We are using vimeo to host videos for the public, and we are sending private linked videos to internal and external clients for review and dowloadable delivery. I love Vimeo as a user platform. There is excellent content on Vimeo for amazing creatives. I have found so many inspirational creative videos that showcase excellent work. The interface is very aesthetically pleasing. Mobile user experience is also done well. Using Vimeo for business is a little tricky. I love it as a personal social platform but for business it's a little rough and they have a lot of kinks to work out. They finally added a few features that make organizing your videos better and that was nice. The review page is awkward to get to and looks so drab compared to the rest of the interface. I don't like that you can't tell who accessed your privately linked videos. You can't tell what time they accessed the videos either. I don't like that the configuration process isn't included in the upload process, just when you think your video is done, nope! Still need 45 more minutes to configure. When comparing to sites like Wipster, Vimeo is definitely lacking. It's nice cause it's cheap but not very feasible for incredibly detailed video review. It's great for bulk review. They are definitely trying to get in the game but still needs a lot of work. It's pretty cheap if you are needing something to review dozes and dozes of videos at a time privately for a client. It's good for internal videos as well. "Vimeo - great for easy video sharing." I love that I can upload a video straight from iMovie into Vimeo quickly and efficiently. Vimeo has great privacy settings so that you can choose your audience. It's also easy to share from Vimeo onto other platforms through social share buttons and embed codes. When looking through your own account videos, I enjoy the layout and large video previews, making it easy to find a video. The team settings makes it easy to share an account with your coworkers. I wish there was a way to upload videos in a square format! It's so easy to upload straight from iMovie, edit privacy settings and disperse your video through other channels. If you're looking for square videos, this isn't your tool. Vimeo has been our primary way of uploading and sharing company videos on social media, on our webpages through embed codes and even sharing the link with a privacy code so that only certain people can review the video before it becomes public. It is a great tool to manage all our videos. "VIMEO IS THE BEST VIDEO HOSTING YOU´LL EVER FIND, PERIOD"
If you´re looking for a reliable video hosting provider, look no further, Vimeo is the right tool for you. I love to bits the fact that Vimeo doesn´t impose advertisements on my videos. Furthermore, I´m so happy that Vimeo enables me to use a great arsenal of advanced options: I can protect my videos privacy, so that they´re only seen on the domains I choose; I can disable Vimeo´s logo, so that the video player looks like a white label tool! I can also add the function for increasing or decreasing the speed of my videos, and I can choose to place any thumbnail as the beginning and end for my videos. I love you Vimeo!!! I know that Vimeo is the greatest video tool I´ve ever found. Nevertheless, there´s a thing I don´t really like about Vimeo: when I´m on the control panel to enable or disable options such as adding the wide screen widget or adding the widgets for the video title and user name over the video, I have to enable them one by one, and save the changes one by one. It would be great if I could first choose all the widgets I want to enable or disable, and then just confirm these changes once at the end. I love Vimeo because It´s a great video hosting service at the right price. Nonetheless, I have a suggestion for you: it´s really annoying that, every time that I want to enable a function (like adding the complete screen option, enabling my username on the screen, disabling Vimeo´s logo, etc.) I have to confirm that I want to enable or disable that option. It would be better if I could select all of the options that I want to enable or disable, and then I just click the CONFIRM button only once. Serious workers (either freelance workers or enterprises) need their own video hosting that makes them look professional when they share their videos with current and prospect clients. If they share videos that are stored on YouTube, they don´t look really professional because all of their videos will have YouTube´s logo; however, if they share their videos on a player that doesn´t show a third party logo (like YouTube), then they´ll look really professional. This is a serious business problem that Vimeo solves! Ease of use. Upload and updating videos is a breeze and with the setting options, I can easily set the view/ads/embed options and privacy so I can control who and where people can view these videos, especially if we need to share a secure video with a client. Also extremely easy to set thumbnail, upload captions, and organize videos into collections. The only thing downside I've seen in the past is finding my videos, but it seems I was looking in the wrong place and kept forgetting to go to the Manage Videos dropdown menu next to the Vimeo logo. If you are wondering whether you should self-host videos or use a video hosting solution such as Vimeo, it would be in your best interest to choose Vimeo. With the security considerations as well as the infrastructure to deliver your content fast and effortlessly, in addition to accessibility options, VImeo is an excellent choice. Hosting videos to be shown on multiple product marketing and help center sites, and securely sending videos with confidential info to clients using the passcode option. "Vimeo gives a Video Production Company everything they need." Vimeo has a basic business plan that is extremely affordable and allows up to 5GB of uploads every week... which for a startup Film company is plenty with leftovers too. Also, the ability to password protect projects for review is a nice feature to insure that no one sees a customer's film before it is approved. Vimeo has a video conversion wait time associated with your plan and also doesn't allow for live streaming on any of the lesser plans. Vimeo gives you what you pay for, so if your company has a video production need and a budget to pay for it, vimeo can accomplish! Having videos password protected solves the problem of customers being able to view the progress of their product without the whole world being able to see their unfinished film. Like the title says, I like that all your videos are uploaded in the highest quality possible, making your videos look their best. Whether it's a commercial, a promotional video, or a trailer for your feature film, you can rest assured that your video will look its best on Vimeo. I also like that you can upload private videos that can be accessed with a password. There's not really much I dislike about Vimeo, other than you have storage limits and if you want more you have to pay. If you're a big business with a big budget though, paying for high quality shouldn't be a problem though. You can't go wrong with Vimeo unless you have a big project and a small budget. Like mentioned before, with Vimeo you can upload private videos that can only be accessed with a password. This is perfect for videos that are not meant for the public and that only need to be viewed by new employees or potential clients. I have not found any other site that does this. "Excellent site to host your professional video"
It's easy to use and a professional platform to showcase film and video. Good for showing clients. Easy to embed on websites. I also love the feature that allows clients to comment on videos at specific points and provide feedback -- good for situations where you are a work for hire and uploading rough cuts of a project and want your client's feedback. When showcasing original content/film, it can be challenging to get "noticed" in the crowd. Vimeo features a "staff picks" but they receive a lot of submissions and requests for that. Professional way to host video. Excellent platform when creating original content and working with outside clients. Hosting video online in a professional manner. You can also privately upload video to share with clients. One of the services we provided was creating original content and there is a service that allows viewers to specify feedback to specific frames. "Vimeo is a firts tool of my video portfolio!!!" Vimeo is the platform where I keep my portfolio of videos, it seems to me that it is a page with an aesthetic and a super professional design, which gives you the possibility of uploading the videos in a very orderly way. I think there are not many things that I dislike about this platform, except that the free video plan conditions the HD quality of the video, that is if I upload a video with a lot of resolution and I do not have a premium plan I can not use, and also limits the storage. If it is a professional video platform we are talking about Vimeo, it is highly recommended! If you want to have high quality videos, if you want an organized presentation of your videos or if you work with films or films with very high quality, you can trust blindly in she. Vimeo has been a great tool in my work since I discovered it has become the cloud of my videos, to send clients, to calls, in short, I feel very satisfied with your platform because I feel super reliable and has always been fast upload my videos, so far I have had very few errors using it. "VIMEO IS FOR FILMMAKERS "
I don't like how their free membership has a gigabyte limit per month. However, that can be solved by paying for a membership, which isn't all too expensive. Vimeo has an excellent feature for creating video ad's that you can use on social media platforms. "Vimeo can be better than YouTube for business purposes at times"
Vimeo is really easy to use. Uploading videos is a breeze, and then there are a number of controls that allow for quality control over your video and how it shows up when it's embedded. I especially love two things: being able to loop videos with an easy button, and being able to choose the cover image from the actual video. That makes it super easy. Overall Vimeo gets the job done. It's not a replacement for YouTube, but I think it works both as a standalone and a complimentary product/service to YouTube. YouTube is still more popular, so you can't disregard it completely. But Vimeo definitely has some great reasons to be happy with what it offers to its customers. I especially love two things: being able to loop videos with an easy button, and being able to choose the cover image from the actual video. That makes it super easy and quick when managing multiple videos and needing to get them up on my website super quickly without adding unnecessary steps, like screen-shotting the cover image I want and then uploading it, etc. Vimeo makes it super easy and straightforward. Clean interface, easy upload/download, excellent sharing tools. Overall, very simple to use. Don't love the album structure. Would like a little more control on password protection and album access. If you need an easy video sharing platform, this will do the trick. Only issue is that videos are hosted on Vimeo's servers, so if security is a concern, that is something to take into account. Many companies in Hollywood are unable to use Vimeo due to the lack of control of videos that are uploaded to Vimeo's cloud. We needed a way to share password-protected videos with various people and groups. This gave us the platform needed to do this. "Solución rentable de alojamiento de video"
La capacidad de posponer la marca de Vimeo y los diferentes botones que hacen clic en la página web mientras se integran en una página web.También es bastante simple de aplicar. No me gustó que no tuvieran una característica en vivo, sin embargo, es posible que actualmente estén lanzándolo. Utilizo YouTube de la forma adecuada; sin embargo, elijo Vimeo para todo lo que me gustaría que fuera extraordinario para mi logotipo. Lo estudio como una forma profesional de proporcionar videos a mis clientes potenciales y potenciales en vez de solo las redes sociales. Ser capaz de ofrecer video a los participantes sin tener que alojar en la página web o moverse a través de AWS. Es simple, parece extraordinario y fácil. "Cost Effective Video Hosting Solution"
The ability to remove Vimeo branding and other buttons that click off the page while embedding into a webpage. Also it is very simple to use. I didn't like that they didn't have a live feature, but they are currently rolling that out. I use YouTube as well but prefer Vimeo for anything that I would like to keep exclusive to my brand. I look at it more as a professional way to offer video to my customers and prospects instead of solely social media. Being able to offer video to members without having to host on the site or stream through AWS. It is easy, looks great and easy. Thanks to her I have found a professional platform in which to share my videos and make them known to people and present them in their own way to clients. "Vimeo for TV Commercial sales"
I love the fact that we can control who has access to our videos by providing them with a password to view. Also, I like the fact that we can turn off the embed feature so that people cannot steal our work. I also love the reporting tool so we can see how many viewers watch our commercials after we send out an email blast with a link to the videos. I have no complaints with Vimeo in the time we have been using it. Everything has always worked well and I haven't had any issues with it crashing or anything. We needed a way to share examples of our television commercials with our potential clients without having them be completely visible to our competitors as well. Vimeo has been the perfect solution. "I love Vimeo and it is always getting better"
Vimeo provides a one stop shop for all of our video hosting because it automatically compresses video in multiple formats and then provides the user with the quality best suited to their connection speed and device. Vimeo is a professional looking video service that is geared towards those who want to use it in commercial applications. "Overall good platform. App needs some adjustment"
The ability to assign passwords and allow clients to download their completed file. I cannot change the ability for clients to download through the app. This makes it frustrating to have a client's payment go through and not be able to give them access to their file while on my mobile device. Go ahead and pay for the subscription. Your upload times will be MUCH faster. It allows me to send a viewable file to clients, then replaces a watermarked video with the final video without changing the original link that I sent to the client. "The easiest, most reliable, fastest, and most cost effective way to manage videos online"
Vimeo makes it easy to upload, tag, manage, and share your video files with individuals, teams, or the general public. It automatically scales the video file to the bandwidth availability of the requestor. It's sharing capabilities with Wipster and other tools make workflow easy to set up and use. I'd like there to be a program between pro (20Gb/week) and business (3Tb/year). If you use lots of video and need to make managing it easier, Vimeo is for you. Vimeo lets me share work-in-progress or consulting session workshops confidentially with clients and contractors. It lets me share 'dailies' with clients so that they can see the progress of our facilitated sessions and workshops even if they are far away. Vimeo has made my deliverables better and given me an edge over competitors. "Quality for those who create and publish video!" Vimeo is the top for those in the industry looking to have a place to upload and share video. This isn't youtube. This product isn't for those looking to be found and become famous. Vimeo is especially for those who create video and want a seamless and professional place to send clients, reviewers, and house their high quality video. The upside is almost the same as the downside. The site where videos are housed are not easily searchable. You won't get "found" by using Vimeo. You'll have to go onto the platform understanding this is not youtube and it's not meant to be. Vimeo is for those who create video to house and showcase their video. Vimeo allows us to showcase produced videos on a professional platform that is high quality, easy to use, and most of all, high quality. We use this platform to store and showcase all our videos for display to our audiences. It allows us to not get bundled up in the cattle call of youtube videos. "An Excellent Professional Platform for Videographers"
It's a great place to see inspiring work from other videographers, animators and more. I'm not really sure where it stands, you can use YouTube for hosting anything, there are special platforms like Dribbble or Behance for specific project, then you can use it for project management but I prefer Frame.io. Vimeo gets lost in the mix it doesn't do any one thing great but several things that it's just OK at. Sometimes I will put things on Vimeo because of it's reputation, i.e. People think it's cooler to have something Vimeo hosted for some reason. My team and I love the organization Vimeo brings to our business. It allows us to be sure our video are in a secure and safe spot. It's also very easy to download videos. We LOVE the fact you can tag and add a unch of details to each video. The user experience isn't necessarily the best. We find it hard to easily find things. It's a great program to use when you need to share and download videos. We upload doctor biographies onto Vimeo for security purposes. We are solving business problems by being able to easily share and download video across our very large business. We use Vimeo in our office at least once a week to share psa's with our members so they can air on their broadcast stations and we have never had an issue. I really, honestly can't think of anything I dislike. Our association generates public service announcements and vimeo cuts out the need for a third party that we would have needed to create a shareable link. "great creative platform for video content." I like best about vimeo that it is a content platform that is not built on profit like youtube is so that the content shared on this platform is very artistic and of high quality and that it is less about quantity. I dislike that even though we have paid for a pro account for several years, we would lose access to all our old videos if we would not extend our membership. We upload high quality video content that can be shared on all our other platforms, which is not that suitable for youtube but more for a serious and more adult audience. "There's No Other Way to Put It - Vimeo Is Incredible!" I like the ability to store videos on our Vimeo account, search for older videos at a moment's notice and use video review pages for others to watch our content. I also love that Vimeo offers an option to hide videos from other users. As a private company, we have a lot of private content, and being able to share it with a link and offer password protection are both major pluses! The fact that you have to pay a monthly subscription to reach a certain level of upload capacity. For a large business, this may not be an issue, but for small businesses or individual users, this may not be feasible. A lot of people recommend using Vimeo over other sites (like YouTube) for one's video portfolio, but when a single video maxes out the upload capacity, the limitations are evident. Vimeo is great, but as mentioned elsewhere in my review, be prepared to pay for added features and increased space. As a free service, functionality is limited, but if you can afford the monthly amount, I highly recommend it! We use Vimeo to post video projects and share them with others in our organization. We use the video review pages and send a link to our site managers for some of more high profile videos. Otherwise, we use the software a storage site, allowing us to find, download and send older videos whenever others send a request. "Great for our client videos"
I love that there are no ads on our videos and the upload is quick! I also enjoy getting to customize the embed code and the way it is presented on other websites. I don't like the limit to how much you can upload in a given amount of time, but we have not run into any issues after purchasing the pro account.I don't like the limit to how much you can upload in a given amount of time, but we have not run into any issues after purchasing the pro account. Only good things to say about this! ANyone can use it. Try it! "Vimeo (YouTube competitor) has a useful free tier, and paid accounts with better service, no limits." Allows me to upload a meaningful amount of video, and make it public. Much as one can do on YouTube. Nothing, really. You can monetize your content over Vimeo. Video distribution. Can make video available to a different audience from YouTube. Useful if you are being censored on other video distribution platforms. "Simple Video Player with good options"
Can be slower to load than other video players. Using vimeo to provide students with lecture content. Video lectures allow the students to review material at their own pace/multiple times if necessary. "Great platform to upload and share your video portifolio"
I live vimeo. Is a very professional platform to upload and share video as a video maker or to anyone that work with audiovisual. You can choose to select who can see the video or the licenses of use. There's nothing I dislike on vimeo. It's a great resource for visual artists. I use vimeo as a platform to showcase my video portfolio and it serves me well. The biggest benefit is being able to share a passcode to whom I want to share the video with. "Great Website For Posting and Showcasing Videos"
I love Vimeo's built in analytics page so that you can see who's watching you're content and where they're from. Another bonus (or draw, depending on how much you upload) is that you get 5GB of free upload storage each week. If you work in short form content, then that's great. If you work in long form content, you can always pay for a Vimeo Plus account with extra storage. Vimeo unfortunately doesn't give much free space to users not paying a monthly premium. The maximum weekly upload limit is 5GB, which can seem very small with everyone nowadays editing in 4K. Another drawback of Vimeo is that the privacy settings can't be set to keep your channel itself truly private - like Wistia or other websites do. By truly private, I mean I wish when you clicked through a video link, it wouldn't take you back to all of your other videos. Also, you can't have a video play back on a password protected website, but be only password protected on Vimeo. Right now Vimeo is the industry standard for video professionals uploading their work. Very few people use Youtube anymore and even less use Wistia (which is actually a great program, but quite expensive). I'd definitely suggest using Vimeo if you're looking for something cheap and professional. Vimeo provides media professions a website to showcase their work. Super easy and intuitive platform, great quality videos, easy hosting and storage, and great compatibility with other key software platforms. Really not much--my team and I loved using Vimeo! If you're looking for quick, easy, high-quality video hosting, Vimeo is for you! We were able to quickly host and roll out video content for key marketing needs. Because of it's quick and easy nature--and it's compatibility with other platforms--we had easy integration and launches that helped us quickly ramp up our marketing programs. 1. There's some kind of glitch with mobile users on iOS when you're preferences aren't configured currently, people can't view your videos (and with half our traffic coming from iPhones and iPads, this was a HUGE problem). We had to go through hundreds of videos and manually re-configure them to work with iOS, crazy! 2. The service routinely goes down. Not like once or twice a year, but once or twice a month. This means your videos don't work. So all your paid traffic is going to broken pages with a video that doesn't play. Videos are critical to our advertising, and with them not working, we see a substantial dip in sales. 3. Their reporting is weak. For business use, we need too know average time people watch and other data points that aren't available in report. Not sure why they have routine outages each month, sometimes lasting 5-10 mins (during critical business hours). There's never notice or an email explaining why, or how they are working to fix the problem. We've since started replacing our Vimeo videos with YouTube, since it's more reliable for business needs. "Vimeo - A great platform for business video"
I like how Vimeo integrates well with other platforms. The appearance is much more professional than YouTube, in my opinion. I don't love the maximum upload limit per week, but I can live with it. Vimeo will give your business videos a professional edge. I highly recommend this platform for all your business promotional videos. Vimeo actually integrated much more smoothly with an app on my website than YouTube did. This is why I needed to move my videos over to Vimeo.